Package 1; includes 18-holes of golf at the Sandpiper Golf Club, with cart, bag of warm-up range balls, 1-Titleist golf hat, 1-dozen Callaway Super Soft Golf Balls, Weather Soft FJ glove 2-pack and a foursome certificate*. 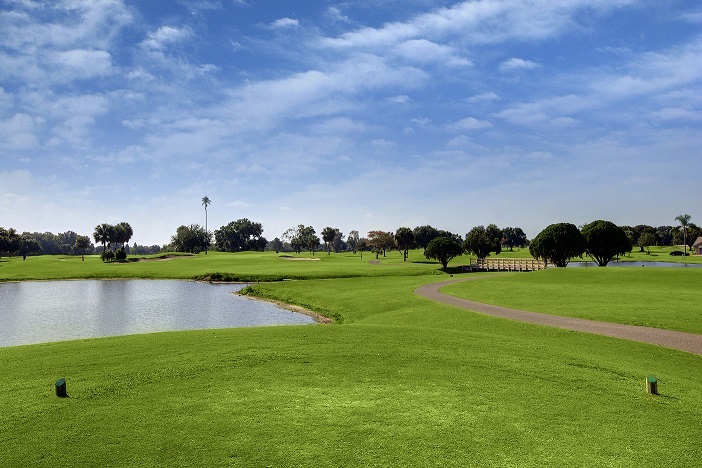 The 18-holes of golf is valid anytime Sunday through Friday and after 10 a.m., on Saturdays. Tee time can be booked up to 7 days in advance. Offer expires Sept. 30, 2018. Package 2; includes 18-holes of golf at the Sandpiper Golf Club with cart, bag of warm-up range balls, 1-Titleist golf hat, 1 dozen Callaway Super Soft Golf Balls, *1-Men’s or Ladies Golf Shirt (does not include outwear shirts or tops), and a foursome certificate*. Golf valid anytime Sunday through Friday and after 10 a.m. on Saturdays. Tee time can be booked up to 7 days in advance. Offer expires Sept. 30, 2018. *The Come back and Play Foursome Certificate is valid for up to four players at the Sandpiper Golf Club for $22 per player, plus tax, includes golf & cart fee. The 18-holes of golf is valid anytime Sunday through Friday and after 10 a.m., on Saturdays. Tee time can be booked up to 7 days in advance. Certificate expires Sept. 30, 2018.